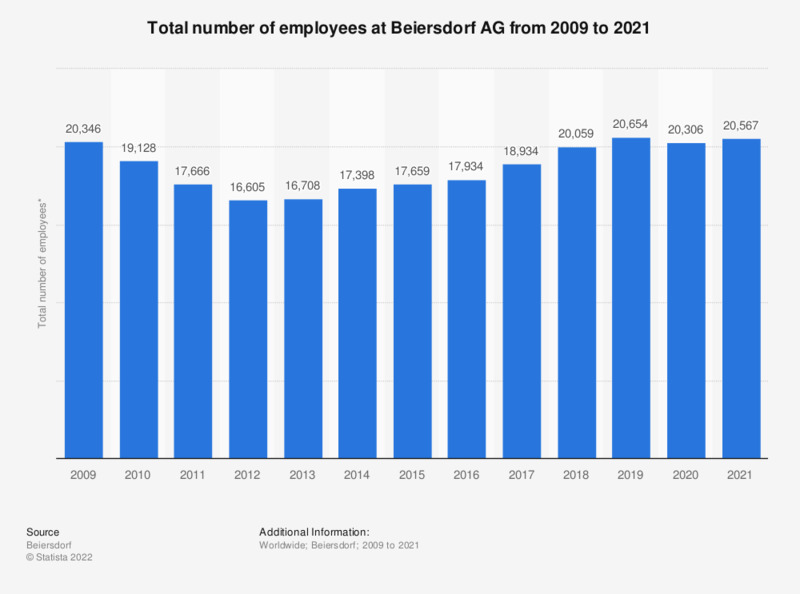 This statistic shows the total number of employees at Beiersdorf AG from 2009 to 2018. Beiersdorf AG is a multinational corporation based in Hamburg, Germany, manufacturing products for personal care. By the end of the 2018 fiscal year, Beiersdorf employed a total of 20,059 people worldwide. * Number of employees as of December 31 of each respective year. Which of the following deodorants brands do you usually use personally?